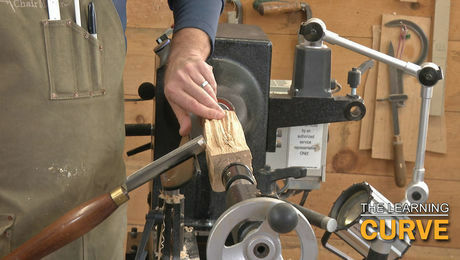 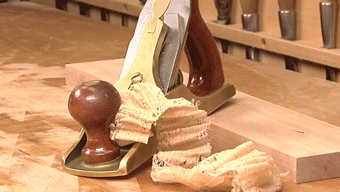 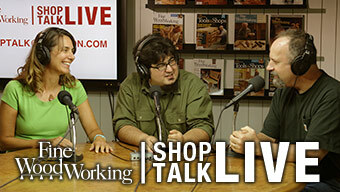 Turning is a skill that many woodworkers avoid learning. 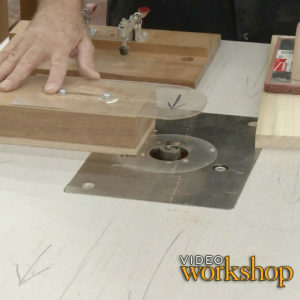 For some, it’s a rabbit hole they’d rather not go down. 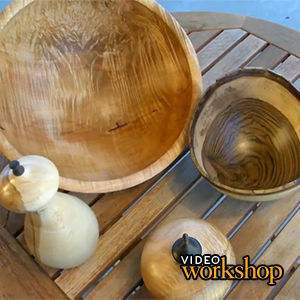 One day you’re turning a Shaker pull for a cabinet, the next day your tablesaw is buried under a pile of bowl blanks, and soon you find you haven’t cut a flat piece of wood in years. 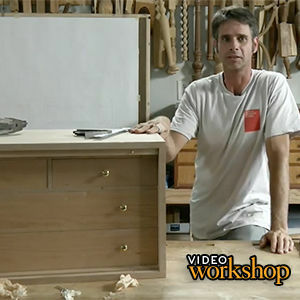 If this sounds familiar because you’ve been avoiding turned furniture parts, this video series is for you. 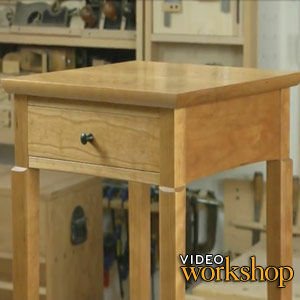 The intention is to teach a basic skill set that will allow you to turn furniture parts using three tools: a roughing gouge, a skew chisel, and a parting/beading tool. 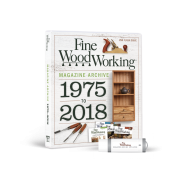 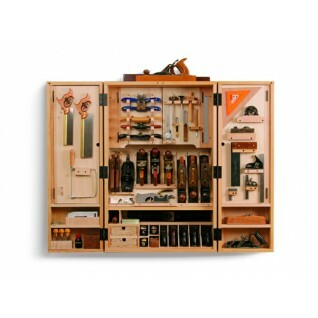 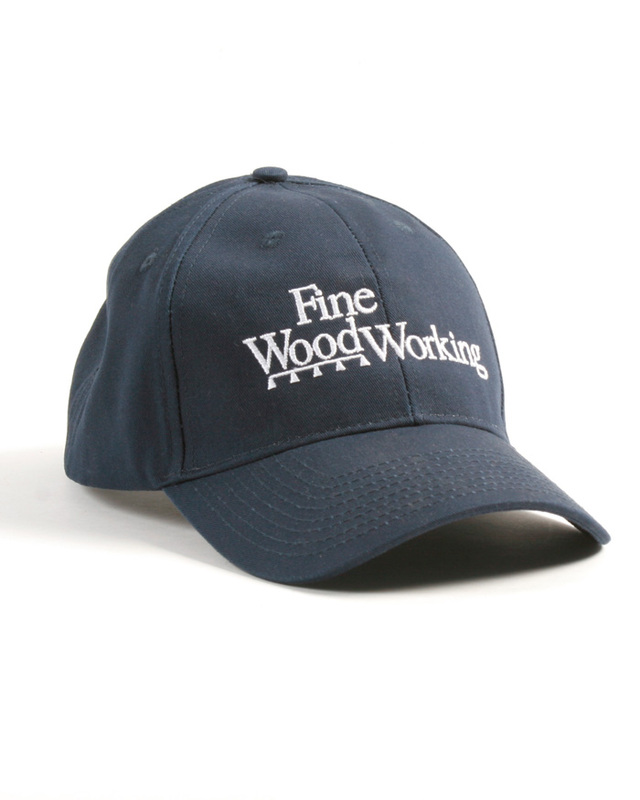 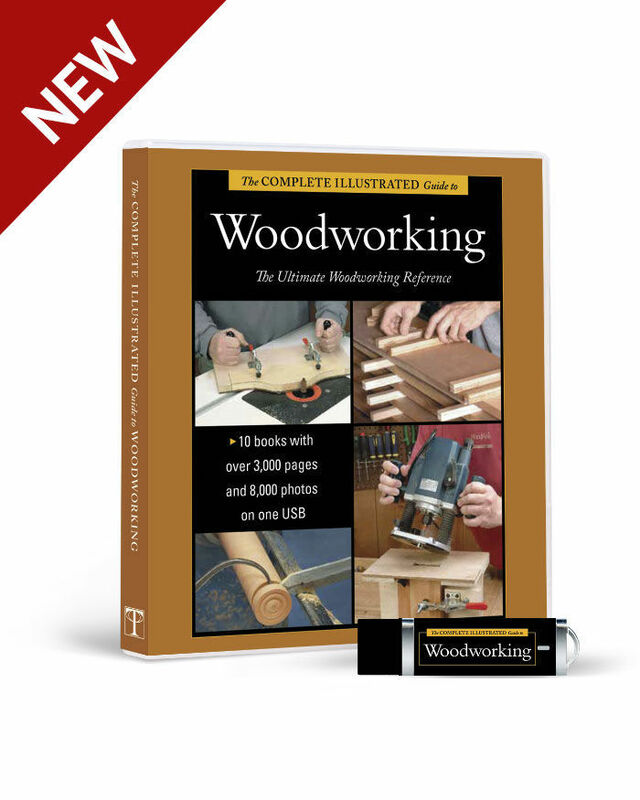 This series is something new for Fine Woodworking. 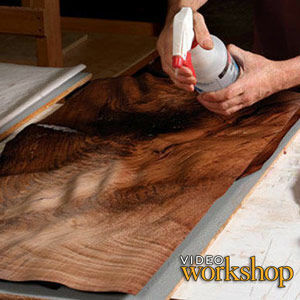 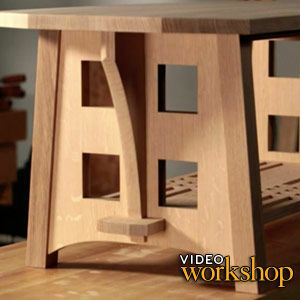 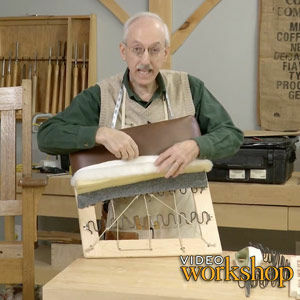 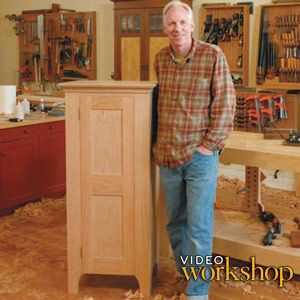 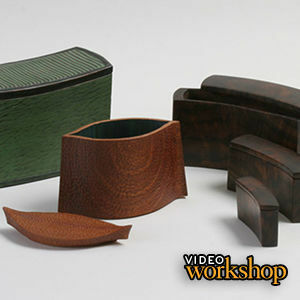 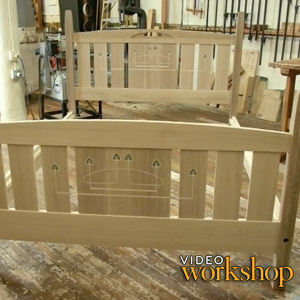 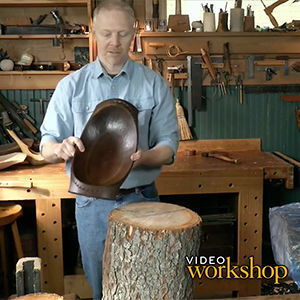 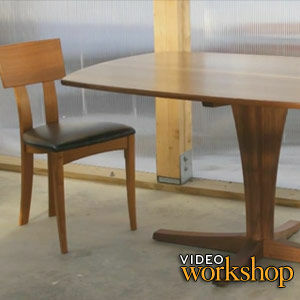 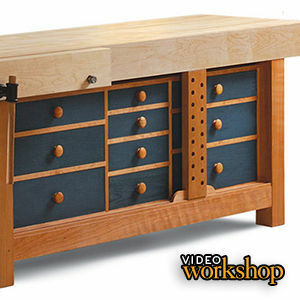 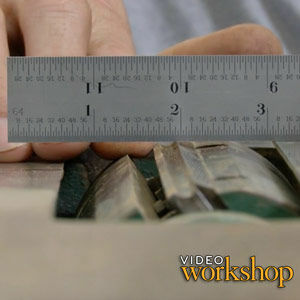 Our video workshops typically feature some of the world’s most talented woodworkers building a piece—not for the first time, but often for the tenth time. 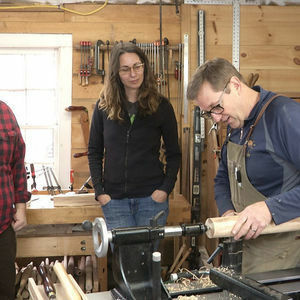 For this series, we thought it would be interesting to show you two woodworkers–Anissa Kapsales and Ben Strano–learning a skill right from the start under the watchful eye of an expert, Windsor chair maker David Douyard. 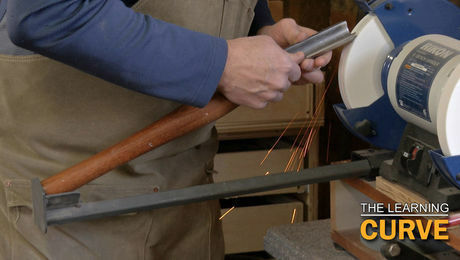 The intention is to show you that it’s OK to make mistakes, it’s OK to be scared, and most importantly, it’s OK to look like an idiot! 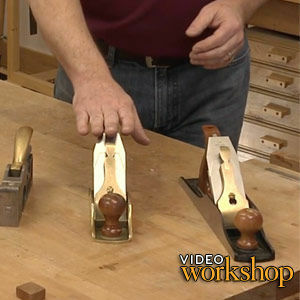 If you’re an experienced turner, this video series is not for you. 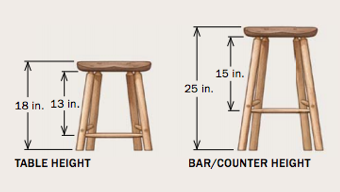 In fact, it might very well be infuriating! 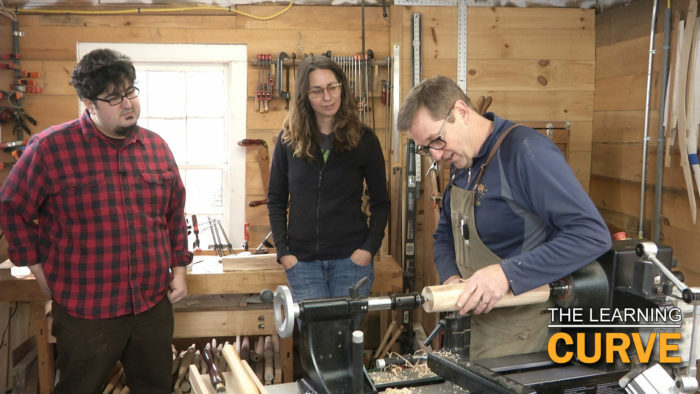 If you’re like Anissa and Ben, with little to no experience turning, we hope that this series will give you the knowledge and confidence to head out to the shop and give turning a try.